Yet another customer case. We have a client that would like to upload directly to a SFTP server at the end of their Alteryx flow. We solved this by developing a SFTP macro. 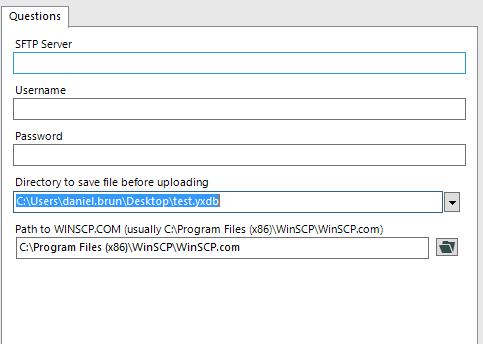 It uses WinSCP which needs to be installed first (Download WinSCP).